Dr. John Curran is a renowned radiologist in Phoenix, Arizona, who works at Phoenix Children's Hospital. He graduated from University College of Dublin National Univ SOM. His residency program in Radiology was completed at University of South Alabama, where he also did one of his fellowships. 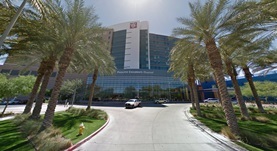 The second fellowship was completed at Children's Hospital of Los Angeles. Dr. John Curran has an experience of more than 20 years and he is certified in Diagnostic Radiology and Neuroradiology.